The renewed Victorian era interest in the language of flowers finds its roots in Ottoman Turkey, specifically the court in Constantinople and an obsession it held with tulips during the first half of the 18th century. The Victorian use of flowers as a means of covert communication bloomed alongside a growing interest in botany. The floriography craze was introduced to Europe by two people: Englishwoman Mary Wortley Montagu (1689–1762), who brought it to England in 1717, and Aubry de La Mottraye (1674–1743), who introduced it to the Swedish court in 1727. Joseph Hammer-Purgstall’s Dictionnaire du language des fleurs (1809) appears to be the first published list associating flowers with symbolic definitions, while the first dictionary of floriography appears in 1819 when Louise Cortambert, writing under the pen name ‘Madame Charlotte de la Tour,’ wrote Le langage des Fleurs. Floriography was popularized in France about 1810–1850, while in Britain it was popular during the Victorian age (roughly 1820–1880), and in the United States about 1830–1850. La Tour’s book stimulated the publishing industry especially in France, England, and America, but also in Belgium, Germany, and other European countries as well as in South America. Publishers from these countries produced hundreds of editions of language of flowers books during the 19th century. British floral dictionaries include Henry Phillips’ Floral Emblems published in 1825 and Frederic Shoberl’s The Language of Flowers; With Illustrative Poetry, in 1834. Shoberl was the editor of the popular annual “Forget Me Not” from 1822 to 1834. Robert Tyas was another popular British flower writer, publisher, and clergyman, who lived from 1811 to 1879; his book, The Sentiment of Flowers; or, Language of Flora, first published in 1836 and printed through the 1840s, was billed as an English version of Charlotte de la Tour’s book. One of the most familiar of the language of flower books is Routledge’s edition illustrated by Kate Greenaway, The Language of Flowers. First published in 1884, it continues to be reprinted to this day. The significance assigned to specific flowers in Western culture varied — nearly every flower had multiple associations, listed in the hundreds of floral dictionaries — but a consensus of meaning for common blooms has emerged. Often, definitions derive from the appearance or behaviour of the plant itself. For example, the mimosa, or sensitive plant, represents chastity. This is because the leaves of the mimosa close at night, or when touched. Likewise, the deep red rose and its thorns have been used to symbolize both the blood of Christ and the intensity of romantic love, while the rose’s five petals are thought to illustrate the five crucifixion wounds of Christ. Pink roses imply a lesser affection, white roses suggest virtue and chastity, and yellow roses stand for friendship or devotion. The black rose (actually a very dark shade of red, purple, or maroon) has a long association with death and dark magic. William Shakespeare, Jane Austen, Charlotte and Emily Bronte, and children’s novelist Frances Hodgson Burnett, among others, used the language of flowers in their writings. Shakespeare used the word “flower” more than 100 times in his plays and sonnets. In Hamlet, Ophelia mentions and explains the symbolic meaning of pansies, rosemary, fennel, columbine, rue, daisy, and violets. In The Winter’s Tale, the princess Perdita wishes that she had violets, daffodils, and primroses to make garlands for her friends. In the north of the northern hemisphere, January is a cold and gloomy month, but in non-frozen areas, many flowers will bloom in the cool weather, and carnation is one of them. The flower associated with the month is Carnation and is said to symbolise love, fascination and distinction. Carnation, which is also commonly called Gillyflower, is found in a number of colors from pink to purple-red. This month is synonymous with the onset of spring (in the Northern Hemisphere). Accordingly, the flower associated with this month is Daffodil also known as Jonquil or Narcissus. The colours of the bloom include white, yellow and orange. A gift of these flowers conveys the hidden meaning of friendship and happiness. January: In the north of the northern hemisphere, January is a cold and gloomy month, but in non-frozen areas, many flowers will bloom in the cool weather, and carnation is one of them. The flower associated with the month is Carnation and is said to symbolise love, fascination and distinction.Carnation, which is also commonly called Gillyflower is found in a number of colors from pink to purple-red. March: This month is synonymous with the onset of spring (in the Northern Hemisphere). Accordingly, the flower associated with this month is Daffodil also known as Jonquil or Narcissus. The colours of the bloom include white, yellow and orange. A gift of these flowers conveys the hidden meaning of friendship and happiness. March: This month is synonymous with the onset of spring (in the Northern Hemisphere). Accordingly, the flower associated with this month is Daffodil also known as Jonquil or Narcissus. The colours of the bloom include white, yellow and orange. A gift of these flowers conveys the hidden meaning of friendship and happiness. May: The month of May is associated with the Lily of the valley flower. It is generally white in colour. The flower conveys sweetness and humility. In the Victorian era, it was gifted to convey the romanticmessage ‘you have made my life complete’. July: Larkspur is the flower for July. With its simple form, feelings of open heart and ardent attachment are attributed to it. September: Aster or September flower is the flower for this month. It is found in a number of colours – pink, red, white, lilac and mauve. The name of the flower which looks like a star is derived from the Greek word for star. The flower symbolises love, faith, wisdom and colour. November: Chrysanthemum, which stands for cheerfulness and love, is associated with the month of November. According to Feng Shui, Chrysanthemums brings happiness and laughter in the house. Enumerated below are flowers of the month and their special meanings which are associated with specific months. It would be a helpful guide for gifting flowers for someone’s birthday. The language of flowers was introduced to England in the early 18th century by Mary Wortley, Lady Montague, whose husband was Ambassador to Turkey. [/vc_column_text][/vc_column_inner][vc_column_inner width=”1/2″][vc_column_text]April: This month is associated with Sweet pea flower which bloom in a wide range of soft colors as well as two tone colours. It is said to symbolise pleasure or good-bye. In the Victorian era, these flowers formed a part of the bouquet which was sent to someone to convey gratefulness. [/vc_column_text][/vc_column_inner][vc_column_inner width=”1/2″][vc_column_text]June: Rose is the flower of this month. Though roses are available in many colors from red to pink to white to yellow, all with their own special meanings, the underlying message the flowers convey is that of love and passion. August: The flower for this month is the Gladiolus. It blooms in a variety of colours like red, pink, white, yellow and orange. It stands for sincerity and symbolises strength of character. October: Marigold or Calendula is the flower associated with October. For the Hindus, the month of October is associated with festivals like Dusshera and Diwali and Marigold, an auspicious flower is part of religious ceremonies. However, in the English culture, marigold stands for sorrow and sympathy. Acanthus: heavenly garden. One of the oldest cemetery motifs, acanthus is associated with the rock ground where most ancient Greek cemeteries were placed. It is the most common motif found on memorials. Bamboo: The emblem of Buddha. The seven-knotted bamboo denotes the seven degrees of initiation and invocation in Buddhism. On Japanese memorials, symbolic of devotion and truthfulness. Bay leaf: I change but in death. Broken flower: A life terminated, mortality. Clover, white: Think of me. Cinquefoil: maternal affection, beloved daughter. Convolvulus, major: Extinguished hopes or eternal sleep. Coreopsis, Arkansa: Love at first sight. Corn (Garbe): It was a country custom to send a sheaf to relatives on the death of a farmer. It may be used as an occupational symbol. Daffodil: Death of youth, desire, art, grace, beauty, deep regard. Daisy: Innocence of child, Jesus the Infant, youth, the Son righteousness, gentleness, purity of thought. Daisy, garden: I share your sentiment. Dogwood: Christianity, divine sacrifice, triumph of eternal life, resurrection. Figs, Pineapples: Prosperity, eternal life. Fleur-de-lis: Flame, passion, ardour, mother. Forget-me-not: Remembrance / true love. Furze or Gorse: Enduring affection. Grapes and leaves: Christian faith. Heartsease or Pansy: I am always thinking of you. Honeysuckle: Bonds of love, generosity and devoted affection. Ivy: Memory, immortality, friendship, fidelity, faithfulness, undying affection, eternal life, marriage. Laurel leaves: Special achievement, distinction, success, triumph. Lily: Majesty, innocence, purity, and resurrection. Often associated with the Virgin Mary and resurrection. Often used on women’s graves. The use of lilies at funerals symbolizes the restored innocence of the soul at death. Lily of the valley: Return of happiness, purity, humility. Morning glory: Resurrection, mourning, youth, farewell, brevity of life, departure, mortality. Oak tree: Hospitality, stability, strength, honour, eternity, endurance, liberty. It is believed to have been the tree from which Jesus Christ’s cross was made. In smaller pioneer cemeteries, it is common to place children’s graves near oak trees. The oak tree was the tree of life in pre-Christian times. The Druids worshipped the oak. The oak, oak leaves and acorn can stand for power, authority or victory. Often seen on military tombs. Palm: Spiritual victory, success, eternal peace, a symbol of Christ’s victory of death as associated with Easter. Pansy: Symbolises remembrance and humility. Poppy: Peace, rest, sleep, eternal sleep, consolation (red poppies). Just a bud: Normally a child 12 or under. Partial bloom: Normally a teenager. Full bloom: Normally in early/mid twenties. The deceased died in the prime of life. Rosebud, broken: Life cut short, usually found with a young person’s grave. Rosette: The Lord, messianic hope, promise, love. Wreath of Rose: Beauty and virtue rewarded. Shamrock: Light-heartedness. Also on jewellery as the national symbol of Ireland, sometimes with an Irish harp. Thistle: Earthly sorrow, Christ’s crown of thorns, Scotland as country of origin. Tree: The all-covering love of Christ. Life, the Tree of Life. Tulip, red: Declaration of love. Vine: The sacraments, God’s blood, God. Weeping willow: Nature’s lament, a symbol of sorrow and mourning. Wheat: Resurrection, bread and wine (Christian), fertility / Riches of the continuation of life. Sheaves: The divine harvest, often represents the aged. 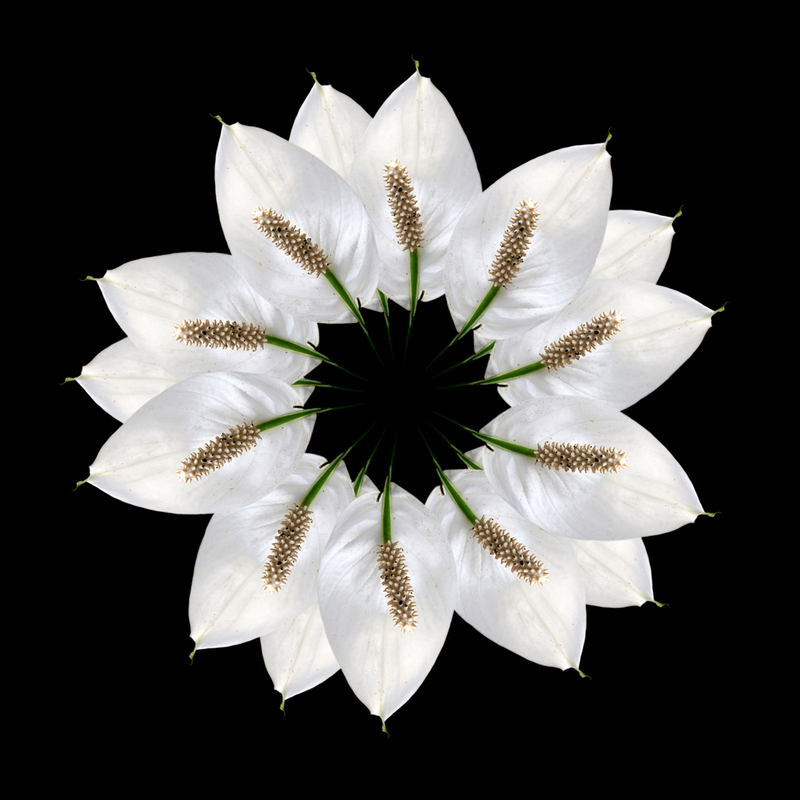 White lily: Purity and modesty. Wreath or garland: The use of garlands, wreaths and festoons dates back to ancient Greek times and it was adopted into the Christian religion as a symbol of the victory of the redemption. The laurel wreath is usually associated with someone who has attained distinction in the arts, literature, athletics or the military. The ivy wreath is symbolic of conviviality (gaiety or joviality). The wreath and festoon together symbolise memory. Ancient symbol of victory. memory, passed to eternal life. Bridal: may signify the grave of a young bride or groom. Maiden’s garland: A garland of white paper or linen, embellished with streamers and a single white glove, which was carried at the funerals of unmarried women of blameless reputation. The garlands were hung in the church after the funeral and allowed to decay. Then the pieces would be buried in the graveyard. Champa Flower(Calophyllum Inophyllum), also known as plumeria. Lily(Lilium) serves as the Unofficial National Flower. Rhanterum epapposum, or locally called Arfaj. Shyrdak Symbols of Kyrgyzstan and also the Tulip.